Added on March 4, 2011 by Guy Ben-Ari. Work in Progress: Artists and Art Historians Present (WiP) brings together graduate students and faculty from Columbia's Art History and Visual Arts Departments to discuss our work and related topics. 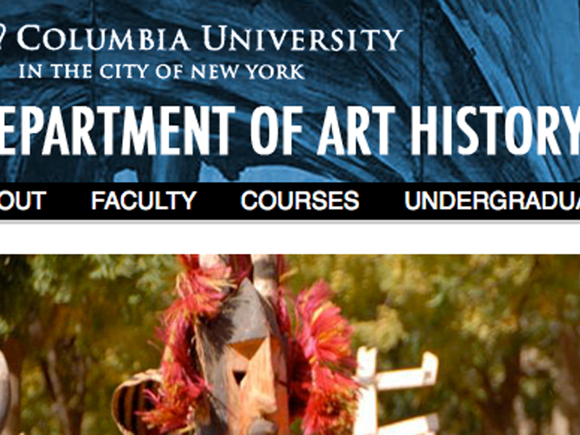 WiP is open to the Columbia and Barnard communities of art historians, visual artists, and their guests. Please join us this Friday, March 4th at 5:00pm for our next event of Works In Progress: Artists & Art Historians Present (WiP). This WiP, organized around the theme "Contemporary Painting," will feature presentations by artists Korakrit Arunanondchai, Guy Ben-Ari, Caitlin Cherry, and Rory Parks, followed with a discussion moderated by curator and art history MA student Catherine Kron. WiP takes place in the Judith Lee Stronach Center, 8th floor of Schermerhorn Hall. Please note the new start time (5:00pm). Wine and refreshments will be served. Works in Progress: Artists & Art Historians Present (WiP) brings together graduate students and faculty from Columbia's Art History and Visual Arts Departments to discuss our work and related topics.